Metal Electroplating & Finishing Service Company - Zinc Plating Chicago | Gatto Industrial Platers, Inc.
Gatto Industrial Platers is a high production metal electroplating and finishing company specializing in Zinc Plating, Zinc-Nickel Plating and Aluminum Chromate. 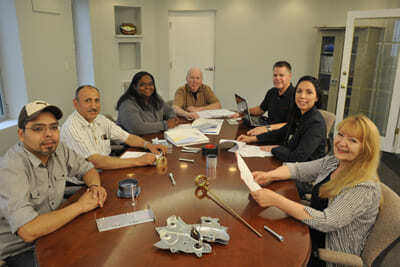 We service metal stampers, fabricators and other major manufacturing companies throughout the United States. Founded in 1974, we are located on Chicago’s West Side in a 210,000 square foot facility. Gatto is a family owned business with three generations working there today. Our focus is on giving quick turnaround service for any size order. From small rivets and low volume prototype runs to high volume orders and large metal frames we have the capacity to do it all. We process over 300 tons of material each day and our oversized tanks can accommodate parts up to 15’ in length. To accommodate your wide range of needs we offer both rack and barrel plating. Our fleet of trucks can provide local pick-up and delivery. We have a 10,000 square foot packing department to handle special packaging requests. To learn more about our capabilities please browse our website or contact us.